Come and Celebrate Valentine’s Day at Our Museum! In Estonian we call Valentine’s Day a Friend’s Day, so it is not just about romantic attachments, but a celebration acknowledging and feeling grateful for all the brilliant people you have in your life. On Thursday, 14 February commencing at 3 p.m. we have various activities planned. And the Maiden Tower Cafe will be open until 8 p.m. offering Friendship cake and themed cocktails. Make sure to pop by as we have the most amazing views to the Old Town and beyond! At 3 p.m. we launch our Valentine’s Day special film programme with mini-lectures in both English and Estonian at the Gate Tower of the Short Leg. 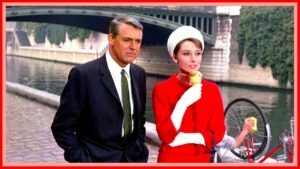 The opening film at 3 p.m. will be “Charade” (1963) with Audrey Hepburn and Cary Grant. Hard to define is it a romantic film, mystery, screwball comedy or something else. Come and see and decide for yourself! The film is in English with English subtitles. Meanwhile, starting from 3:30 p.m. at the ground floor/basement of Kiek in de Kök we’ll have an extraordinary tour for children and families in both Estonian and Russian (if any English speaking families sign up, also in English) introducing the jewellery exhibition “Tallinn 800”, followed by a jewellery crafting workshop “Key to your heart”. Inspiration for your own crafts can be drawn from the annual exhibition of the Estonian Association of Jewellery and Blacksmiths. The workshop is scheduled from 4 p.m. to 5 p.m. and we are going to craft jewellery using diverse selection of materials: pearls, stones, wire, leather, wood etc. Please register for the tour and/or workshop: ade.lehtse@linnamuuseum.ee (Estonian), julia.voinova@linnamuuseum.ee (Russian), kadi.pilt@linnamuuseum.ee (English). 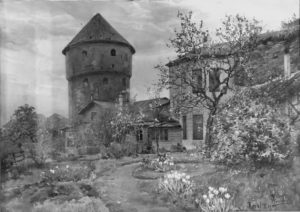 At 5:30 p.m. on the 2nd floor of the Maiden tower we’ll talk about the loves and lives and friendships of these remarkable individuals who have lived in our towers over centuries. The discussion is in Estonian. At 6 p.m. we’ll introduce and screen “Casablanca” (1942) with Humphrey Bogart and Ingrid Bergman at the Gate Tower of the Short Leg. If you still have not seen or would like to re-watch this evergreen romantic drama with memorable lines, here’s your chance! The film is in English with English subtitles. Please keep in mind that museum (and cafe) will close at 8 p.m.
at 7:55 pm we’ll introduce and screen an eminently quotable cult classic, a romantic comedy fantasy adventure film “Princess Bride” (1987). Will the true love prevail even through death? What can we learn from it? Never get involved in a land war in Asia! Inconceivable!